I have truly been bit by the blogging bug… yes, the same sweet little insect that I didn’t even know existed a year ago! You have been so supportive and encouraging in the last three months, that I decided to expand the possibilities of this new hobby of mine. I’ve moved to a new site. Oh, and whenever I say “I’ve” and something techy (like moving to a new site) in the same sentence, I surely mean my creative and terrifically technically talented friends the Happy Housewife, the Happy Housewife’s Husband, and Joy, the master of all things font and color and style. Let’s talk about the Finer Things! I’ve been tagged! Twice! One tag (from Kate) is to name seven random things about me, and the other (from Kim) is to confess five of my quirks. Quirks, huh? Hmmm… according to my insightful husband, I do have a few of those. I absolutely must shave my legs in the bathtub. At night. No shower shaving for me. Even when I’m driving only a few blocks in Tiny-Town (which only happens at night or in bad weather… we usually walk wherever we need to go) I always wear my seat belt. Always. Though I didn’t think a thing of it in high school (did I even think in high school?) and would feast on a candy bar and pop at any time, the mere thought of that combo now gives me a sugar headache. I just can’t handle my sugar like I used to! I love Mondays. Wait! Don’t go! Let me explain. 😉 Because Lance is a three-sport high school coach, we are a ballgame goin’ family. Also, because we live in Tiny Town (community activities) and we live within an hour of most of our family, weekends can tend to get busy. On Monday, we have no ballgames. I get to stay home and renew my promises to get a lot done during the week. It’s a clean slate. I love it! Each time I clean my kitchen, do dishes, etc. I work from right to left. Even if the “right side” counter top is clean, I wipe it down first anyway. That may be the only order in my life, but it’s mine! Because I have some specific people in mind to tag with another tag I received (you’ll soon get to see my favorite kitchen features), I’m cheating and leaving this one up for grabs (since I already cheated and combined two tags anyway…) Who wants something to write about today? I’d love to learn more about you! There’s a lot in this life that seems out of my control. I could easily spend my time in frustration, whining about and bemoaning those things (while making everyone around me miserable)… but instead, I’m trying to take responsibility and ownership of whatever I can control. I can’t control who becomes our next president, but I can vote and encourage others to do the same. I can’t control what time my kids wake up in the morning (oh, how I’ve tried! ), but I can get to bed at a decent time so I’m ready to rock and roll when they are (or something like that). I can’t control grocery prices, but I can be more vigilant about my shopping practices and meal preparation to get the best deals and keep our bill as low as possible. I can’t control the weather, but I can rearrange my schedule so we can enjoy every possible minute outside before the nasty cold sets in. I can also make the most of our time inside with fun projects for the kids. I can’t control the economy (which is too bad for all of us, because let me tell ya… I have a plan!) but I can react to it appropriately and ride the roller coaster. “After all, the only way to get hurt on a roller coaster is to jump off.” 😉 (Got that from Dave.) Check out Dave’s take on the economy. He is so right on! I can’t control my husband’s teaching income, but I can carefully steward it and stretch it to meet our needs. I can’t control everything my daughter is learning (the good, the bad, and the ugly) at school, but I can be an advocate for her education. And… if it’s really an issue, I could homeschool. There are always options more positive than complaining (or doing nothing). 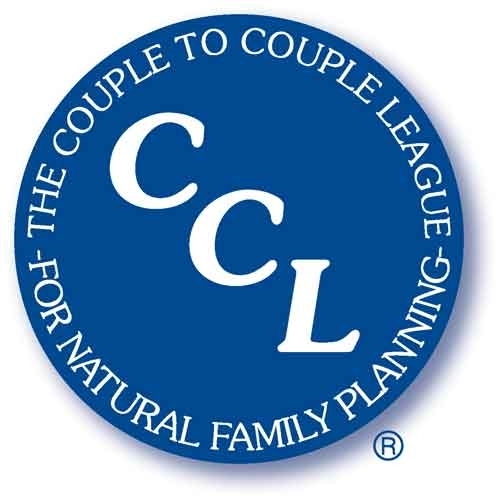 I can’t control our health insurance costs (don’t get me started), but I can do my best to keep my family healthy by preparing nutrient rich foods, exercising with the kids, making sure we all get enough sleep, and keeping germs at bay. I can’t fix all, cure all, mend all, be all… so I’ll just control what I can control. It works for me. Another thing that works for me? Small town church cookbooks! Enter my giveaway to win one! After making chicken pot pie last week, I had some leftover pie crust. The thing about tender, flaky pie crust is that you shouldn’t touch it. Don’t mess with it too much, or it gets tough. Tough pie crust is not tasty pie crust. And “not tasty” pie crust is just plain not worth it! So, instead of messing with your crust and trying to make something out of it (like rolling it out again to make another pie crust, only to be disappointed when your crust doesn’t quite fit… and is now quite tough… wanna ask me how I know?) 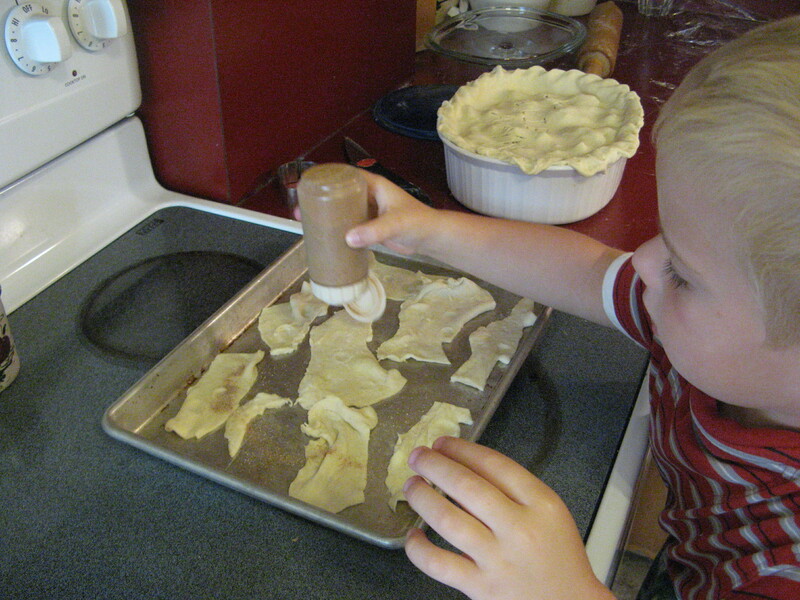 make Pie Crust Pleasers (I totally made up that name for this post… I don’t think these really have a name)! 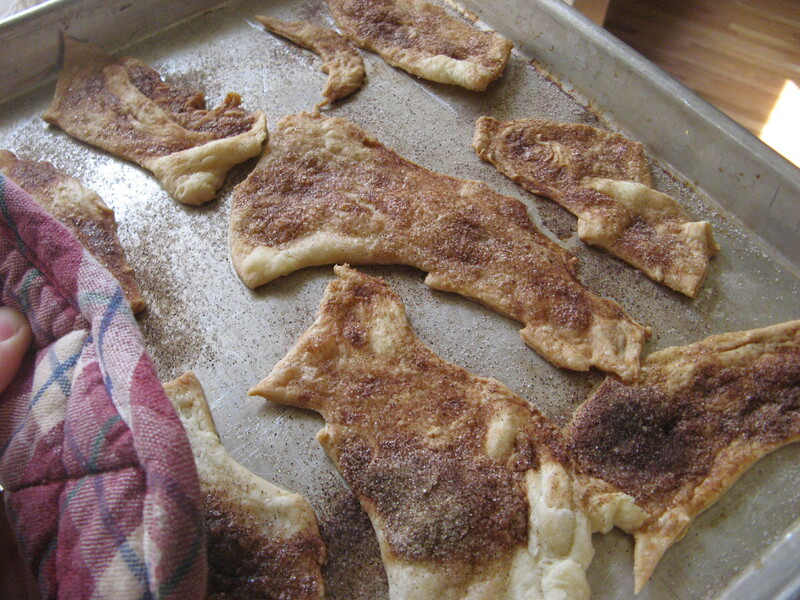 Simply lay your scraps in a pan as you cut them, and generously sprinkle with cinnamon sugar. Bake in a 350 oven for about 15 minutes, or until golden brown. Mmmmm. I remember fighting over these sharing these with my siblings growing up. And my sister? Don’t tell her I told you this, but I think she sometimes makes pie crust just to make these. Yep. She cuts the whole recipe into strips for Pie Crust Pleasers. They are that good. 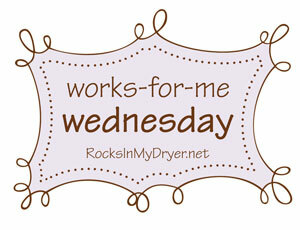 Be sure to visit Tempt My Tummy Tuesday and Kitchen Tip Tuesday, and check out my church cookbook giveaway! According to my dashboard, this is my 100th blog post! Wow — how did that happen? And to think, I had virtually no idea that the blogging community even existed six months ago. Crazy, I know. This blogging thing? I absolutely love it. And this Gratituesday thing? It is necessary. In all circumstances. In honor of my 100th post, here’s what I’m grateful for tonight. Inspiring blogs that gave me the push to begin my own addiction, well… yes, addiction. Talented friends who got my blog up and running. A place to collect and record my thoughts. Incredible readers who have become sincere friends through our blogs. Patient children who wait “one more minute” while I finish up a post or moderate comments. Encouragement and accountability via thoughtful comments. A community where I feel like the “invisible-to-society” things I do throughout the day as a wife and mother aren’t so menial! So, there you have it. My 100th post! Anything you’d like to read about in the next 100? Don’t forget to visit Heavenly Homemakersfor more Gratituesday. I love a good cookbook, and a good cookbook to me is a hometown church cookbook. It doesn’t matter whose hometown it is… Who can resist the comfort food that so many real ladies are willing to share? Real ingredients; real food. I love it, and well… I have too many good cookbooks. 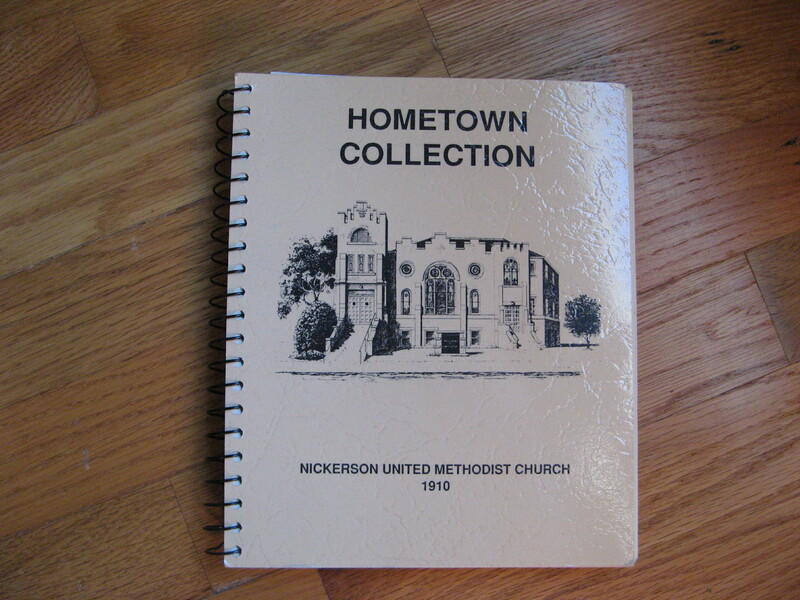 This particular book was compiled by the Methodist Church ladies of Nickerson, Kansas. With recipe titles such as Rendezvous Coffee Cake, Fumi Salad, Shipwreck, and Ugly Duckling Cake, there’s certain to be something for everyone! I’ll let random.org pick a winner on Friday after we return from our Trick-or-Treating rounds. Be sure to check out the hundreds of awesome Bloggy Giveaways going on this week! It got c-c-c-cold late this afternoon as we all ran out to beat the freeze! 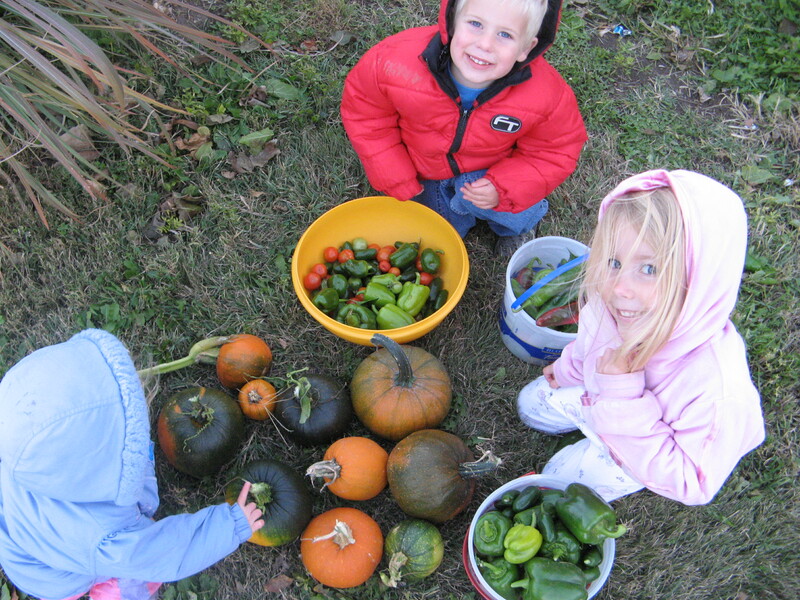 After watching our fledgling garden produce lots of goodies this summer, we hated to lose anything tonight to the impending frosty temps (thanks for the heads up, neighbor John! 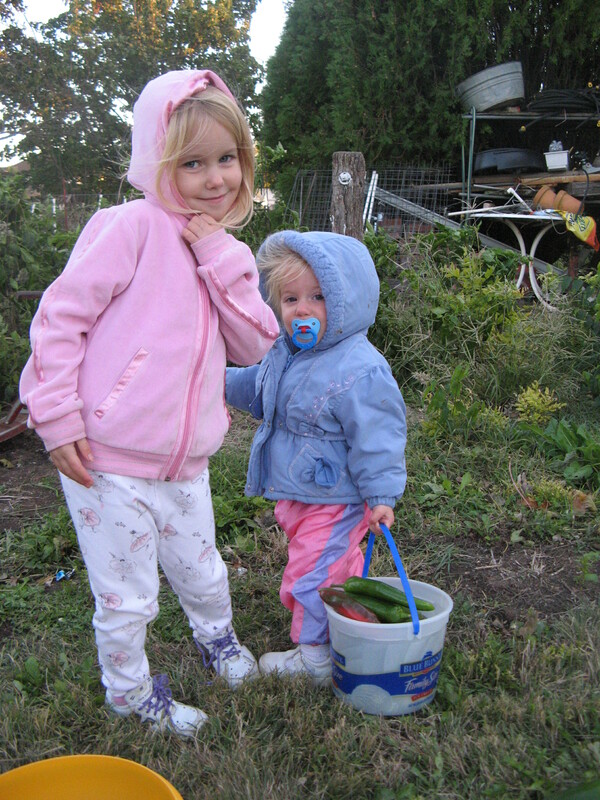 )… so out we went to gather the last of the goods. Looks like I’ll be busy chopping and freezing peppers tomorrow! Before the cold wind hit… what a beautiful weekend! I ditched our soup plans yesterday (I can’t do soup when it’s sunny and 70 degrees out!) in favor of this Texas Cowboy’s Pie from $5 Dinners. It turned out great, and I’m glad to have another use for leftover roastbeef to add to my repertoire. Game night! Yes, on Thursday… if we win, we go to the playoffs for the first time in, well… forever, I think! (This is just our third year in Tiny Town.) So, probably sandwiches and snacks for the road.